There is no question that one of the most common concerns we hear from grieving parents is how to support grieving children and teens. We have posted in the past about some things to expect from kids grieving at different ages, as well as several posts on activities for grieving kids. One of the big questions we get is about what good books are out there to help grieving kids. This is a humongous topic because there are so many types of books for kids of all ages. It is hard to know where to start! We reviewed a while back an activity book for kids who have lost someone to suicide and got great feedback on the post. So today we are going to take a look at some other grief activity books that are out there. We will keep these posts coming more regularly, because there are just far too many books out there to cover in just a post or two. Please let us know by way of a comment if there is a kids activity book or journal that you love, have wondered about, or just generally think we should include in an upcoming post. As you may know already, I have a book buying problem, so I am always excited to add a new book to my unreasonably huge grief book collection and will make sure to talk about it here in a future post. As I looked at my colossal stack of children’s journals and activity books, I decided the best way to tackle this is starting with books for really little guys. Grieving kids of all ages present unique challenges, and when we talk about younger children a big challenge is that they don’t have the words to express their emotions. Many of the activity books you will find for younger kids will really focus on understanding and labeling different emotions. 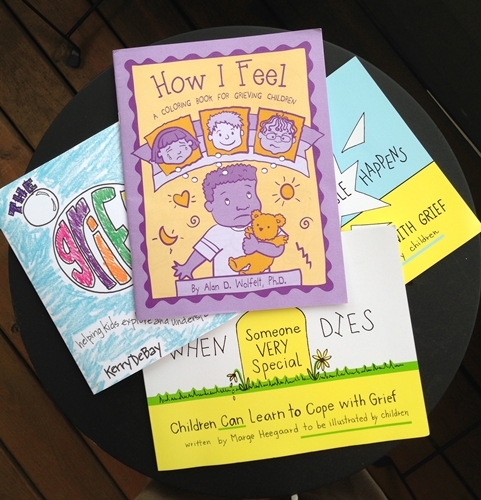 These activity books help kids feel the permission they need to grieve. Another challenge in supporting kids of this age is that they do not understand the finality of death. You may be expecting that these books will address understanding death and its finality. There are many story books out there for kids that allow parents away to talk about death with young kids, but you will find the goal of some of these activity books is to help kids with their emotions, rather than helping them understanding the finality of death. This is not true of all activity books, but is something to be aware of in deciding if a book is right for you and your child. Ages: This book is for kids 3-9. Summary: As a coloring book, most pages help kids identify and label feelings. A few pages ask kids questions and ask kids to identify why they feel certain emotions (“sometimes I feel scared because . . .”). The book has pictures of different young children, boys and girls, who have lost someone and identifies different emotions they are feeling. The book covers having no feeling at all, feeling scared, feeling mad/angry, not being able to control emotions, feeling different from other kids, feeling alone, feeling okay and happy, feeling hurt, and feeling sad. 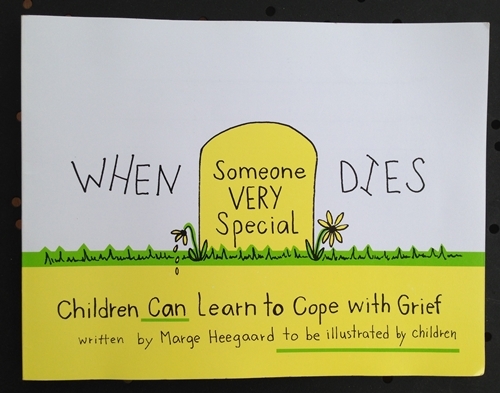 The book then helps kids feel comfortable expressing their emotions and talking about the person who died. It encourages kids to talk about how they feel, share their true feelings and not keep emotions inside, and reminds them that it is okay to cry and also that it is okay to be happy, laugh, and play. Comments: This is a great book to get kids started talking about grief and emotions. As primarily a coloring book, it is non-threatening and can be eased into. This book can’t be purchased on amazon (say what?! There are still books you can’t purchase on amazon?!). You can pick this book up on Alan Wolfelt’s website. Ages: This book is for children 6-12 (though amazon says 9-12, all other sources say 6-12. My experience with the book is that it is appropriate for kids as young as 6 with adult support and selection of appropriate pages/activities). Summary: This has six objectives that are clearly laid out in the beginning of the book, showing which pages are associated with each objective. The author also includes “Additional Reading” for each objective. This is great if you find you child is struggling with a certain area, or really likes a certain section, as it offers guidance of what other books might be worth purchasing. 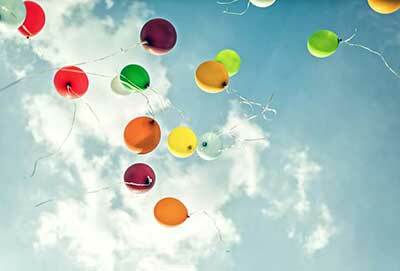 The six objections of the book are change is a part of life, dead is the end of living, living means feeling, feeling better, sharing memories, and I am special too. The section on change explains change, then includes an activity asking the child to draw themselves as a baby, now, and “very old”. It introduces that dead is the end of living, then asks kids to draw something that causes people to die. It stresses that people don’t die because of anything another person thinks or says, an important point for young kids who may be experiencing “magical thinking” where they worry their thoughts and wishes can cause things to happen. This section ends with a place for a photo of the person who died. The next section, as expected by its name, introduces that death is the end of living and that a person can never come back after they die. This talks about a “spirit or soul” that leaves the body and talks about different beliefs people have – that the spirit goes to heave, that it takes a new form, or that it becomes part of the people they loved. 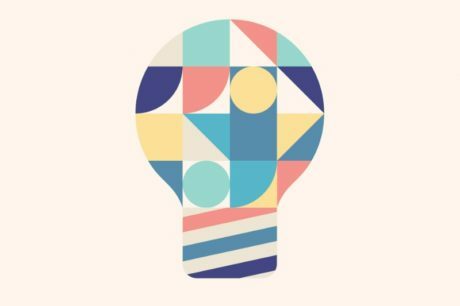 It asks kids to draw what they think, and also write what they wonder about. This section on the spirit may be more abstract and challenging for younger children. The next section addresses emotions and asks kids to draw faces of different emotions, then to draw emotions that people sometimes try to hide and the “masks” they use to hide them. 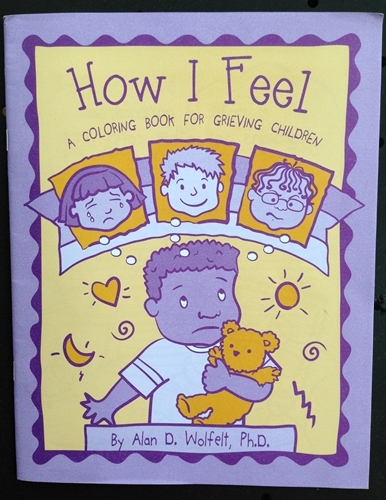 It goes over different feelings and asks kids to color a body where emotions hurt. This then ask kids to draw things that make them sad, angry, frightened, and things they worry about. The fourth section encourages kids to identify things they like about themselves, draw something they are good at, and reminds them that everyone is good at something. The fifth section about memories and comfort asks kids to draw what they remember about learning about the death, draw how they like to be comforted, and draw or write an “if only”. It asks kids to draw or write their favorite memory and something they learned from the person. The last section helps kids identify all the people in their lives who love and care about them. It asks them to list or draw family, friends, neighbors, and other people who are in their “caring circle”. It asks kids to draw someone (or something) they can always talk to, and end reminding kids they can still have fun and be happy. Comments: this is a long book that offers activities on a wide range of topics, including understanding death, labelling emotions, giving permission to grieve, identifying emotions, and finding coping skills. It is very comprehensive, but younger kids may need to tackle it in pieces, with the support of an adult. Overall this is a great book! Summary: You will be not surprised to know this book is similar to the book above, but could be used for many types of “terrible” things (death, natural disaster, house fire, severe car accident, illness, etc). There is a lot of overlap with the book above on emotions, change, and recognizing strength and support. What this book does not have is an emphasis specifically on understanding death, discussing the soul/spirit, and remembering a specific person. 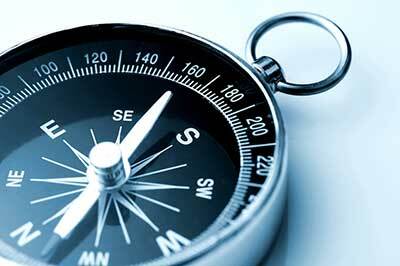 What it does have is more information on painful memories and more development of feelings of anger and fear. This book also has six objectives, with supplemental readings. The six objectives are sudden change and loss, grief: a natural reaction to loss, learning about feelings, drawing out difficult feelings, soothing painful memories, and growing stronger. Comments: This is a great book for exploring emotions, especially those that come with trauma. It discusses bad dreams, fear, anger, and shock. Just as the book above, it covers labelling emotions, giving permission to grieve, identifying emotions, and finding coping skills. It is very comprehensive, but younger kids may need to tackle it in pieces, with the support of an adult. Deciding between When Something Terrible Happens and When Someone Very Special Dies: If you are deciding between these two books you may wish to consider your goals for a book and the nature of the death. If one of your goals is helping a child understand death and the finality of death, When Someone Very Special Dies is going to be the better choice, as it addresses this directly. If the death was very sudden and unexpected and/or your child experienced exposure to the death that may have been traumatic, such as witnessing an accident you may wish to start with When Something Very Terrible Happens. Summary: This is an interactive activity book with a goal of helping kids “understand what grief is and to recognize their grief”. 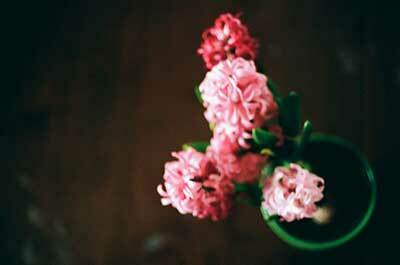 The book describes life being normal until the worst thing happens – someone special dies. In basic line drawings it shows that normal life is no longer normal. 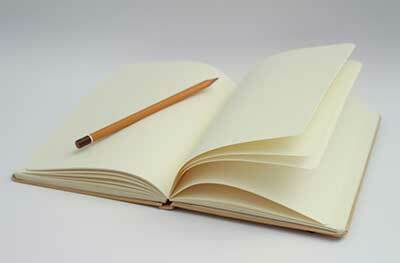 The book ask kids to draw or list new thoughts or questions or memories they have since someone special died. It asks kids to draw new feelings they feel, identify pain in their body, and draw things they are doing differently. 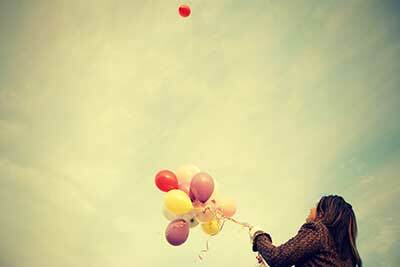 Kids are the introduced to the idea that all these changes – in you head, heart, and body- are grief. 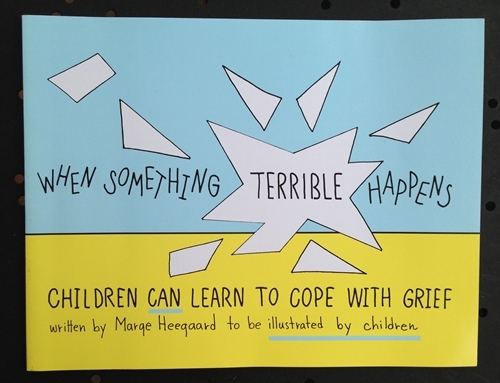 The next page asks kids to draw a picture of their grief, and gives them some prompts for drawing. The book then shows, again with simple line and bubble drawings, that there will eventually be a NEW normal life. Kids are prompted to draw a time when everything was okay and then draw what they would like their new normal life to look like. The book ends with quotes from other kids about what grief is and gives a spot for the child to fill in their own definition of grief. It then gives a few quotes from other kids of things that help and asks kids to list 5 things that help them. Comments: this book is a great way for kids to understand what adults mean when they say the word “grief”. As the author says, it is “such a little word for such big stuff!”. This book is more basic than Heegaard’s books, but may be a great introduction before diving in to those books. This book does ask kids to think about their feelings, but does not specifically prompt kids by listing specific feelings they may be experiencing. If your child is younger and is still struggling with identifying and labelling emotions you may wish to start them with Wolfelt’s How I Feel before moving on to this book. 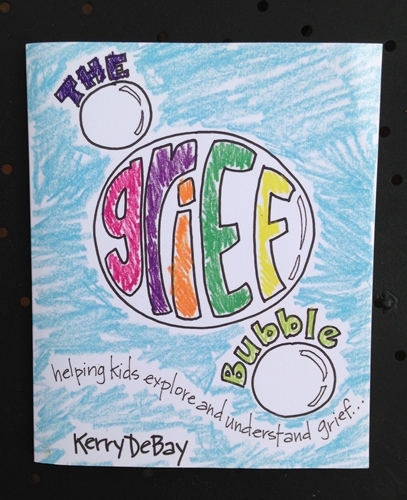 3 responses on "Grief Activity Books for Kids 3-9"
How do I get the book the Grief Bubble?